In an interview with U.S. News & World Report, Counseling Psychology associate professor Dr. Nayeli Chavez explains how the decision to end the Deferred Action for Childhood Arrivals (DACA) program leads to stress for DACA recipients, as they are living in a state of hyper-alertness. People with DACA status “can’t plan for the future, even though some are going to school and some have jobs and careers…It’s an overwhelming sense of having no control over their entire life.” Read the article. 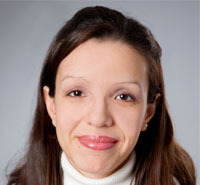 Dr. Nayeli Chavez is a licensed clinical psychologist, and has significant experience working with immigrant, Latino/a and African-American communities. Her research and scholarly work has been in the areas of race and racial relations, barriers to mental health service provision of Latino/a clients, culturally-based teaching approaches, and implicit racial/ethnic bias. Read more.